In recent history several incidents involving foreign submarines have occurred in Norwegian territorial waters. During the preparation for The Norwegian Skipping Stone Championship one more occurred.The Championship is presented by the The Norwegian Seafood Council. Best metaphor of a boring routine? A .Gif! Jung von Matt/ Spree Hamburg created commercials that look like .gifs to encourage people to break their routine and travel. Though, every single loop is slightly different in details than the one before just as every boring or annoying day is. Maxwell House is aiming to break with the perception that over-the-top fancy coffee is the only way to go. In collaboration with its creative partner W+K Shanghai, the brand made a bold move to show that "Good Coffee Can Actually Be Simple" with this very first major brand campaign in the Chinese market. As proud partners of netball, Samsung is challenging Australian's to rethink who we hold up as inspirational role models by shining a light on our Diamonds. Across the board, girls and women have very few positive role models to aspire to, and yet there are so many inspiring examples amongst us. The Australian Diamonds, our World Champion national netball team, are testament to this. They embody qualities worth celebrating: talent, determination, resilience, loyalty, humility, and passion. 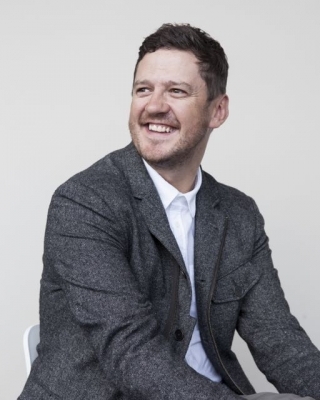 This week's guest is Richard Denney, executive creative director, MullenLowe, London. Winner: Paddy Power - Viva la Banzt. Viva la Bantz... As the tile suggests it's everything you'd expect from Paddy Power and is definitely the clear winner for me this week. For the past 30 years, Gatorade has crowned the champions of the Super Bowl with the iconic dunk at the end of the game. Although it is seen by millions of broadcast viewers, it's only been experienced by a select few individuals since its inception. So how could the brand allow its fans on social media to take part in the celebration? This year, VML not only wanted to let every fan see the dunk, but experience it for themselves. So we created an interactive augmented reality experience that leveraged the new "lens" functionality of Snapchat to allow fans to create a user-generated video of themselves getting virtually dunked. This is the new film from DDB Argentina for the Argentine Liver Transplant Foundation. Last year we got emotional with "the man and the dogâ" now it's time to get inspired about organ donation with their newest ad: "The rescue". Whatâs all about? A Bell UH-1 helicopter flies over a war zone, when the pilot sees his fellas down there. In an act of courage, he decides to descend and rescue them, without thinking about explosions. Young kids often humanise inanimate objects around their home. For example, they'll greet and farewell a couch or their bed. This spot from M&C Saatchi uses this insight to communicate the fact that for thousands of Australian children and women, their car is their home. Lactosil, an enzyme supplement for people with lactose intolerance, launches a new campaign: Ghost. The spot claims people to stop suffering for milk by showing a woman crying in front of a window-shop because she is lactose intolerant. The idea was inspired by the love-hate relationship of those people with dairy products and uses the Ghost movie soundtrack to bring a melancholy feeling.The idea came from REF+T, agency based on Sao Paulo, Brazil. The BMW S1000RR is seriously fast, with an acceleration of 0 to 100 km/h in 3 seconds.FCB Cape Town wanted to give people an experience of this incredible speed without them being on the bike. To do this we found a straight road, with a clear view in both directions, and covered a bus shelter with BMW S1000RR branding. Speakers were strategically placed on either side and a splash device was inserted into the tarmac. When activated, it created the illusion of a motorcycle whizzing past at such a speed that it was too quick for the eye to see. The message on the bus shelter read: The BMW S1000RR. 0 to 100 in 3 seconds. In a city with so many social issues like Recife, in Brazil, people wanted to help but didn't even know how to start. It wasn't easy to become a volunteer. So, more than a campaign encouraging volunteer work, what the City needed was to make it easier to become a volunteer. Then, Blackninja launched Changing Recife: a platform that connects those who want to help with people in need. More than 70.000 people have already started some volunteer work for 400 NGOs. Recently, the platform it was recognized by UN for its contribution to the quality of life in cities. Never a network was so social, neither social was ever so networked. The new global WSJ features the breadth and depth of content necessary to fuel the most ambitious professionals worldwide. In order to capture the publication's point of difference, The & Partnership created a campaign that showed how business in today's climate was truly global (just like One Journal). The Advertising Benevolent Society (TABS) helps people from the advertising industry who are in need. Generally, it's because of ill health, unemployment or family circumstances. The types of supports provided are for school costs, medical bills, living expenses, re-employment etc. The charity asked ten Irish agencies to produce a pro bono ad for TABS, to appear as full pages in Ireland's main marketing publications. This was Chemistry's contribution repurposing an iconic symbol of the advertising world to signify that if you fall on hard times, TABS will be there. The Australian Electoral Commission (AEC) has launched a multi-phased campaign, aimed at encouraging Australians to enrol before the 23 May deadline, and to vote correctly at the upcoming federal election. Voting correctly in this coming election is even more important, since the way you vote for the Senate has changed. The campaign created by BMF includes TV, press, radio and digital, and aims to demonstrate how powerful a piece of paper can be on election day. Voting is the most direct way to have an impact in your community and in shaping the future of Australia. Science World's TV spot for their ongoing "Now You Know" campaign takes a look at the cold, hard facts. Pun intended.Those were quick blurbs for the Rethink Canada website so safe to use. Kelly's, the leading brand of Cornish ice cream, announces the launch of its latest advert to promote their new parlour range of take-home ice cream. Created by award winning creative agency isobel, the advert the worldâs first in Cornish was inspired by the ice cream brand's heritage and its tagline: Kelly's is Cornish for ice cream. Samsonite has just launched its new European campaign FOR LIFE IN MOTION, the first campaign created with Publicis Conseil. The campaign is based on a strong human insight on the way we live today: hyper mobility. Samsonite fits in with the lifestyle of hypermobile discerning travelers. Wherever they go, whenever they want to. How to make safety to the motorcyclists something as natural as turning their motorcycles on?Bajaj's LIFEKEY is a device that synchronizes itself with the motorcycle's engine switch. If the biker is not wearing the helmet, the vehicle just wonât start.The device have pressure and contact sensors, which detect if the biker is wearing the helmet. This development contemplates its use in BAJAJ PULSAR RS200, which is one of the safest motorcycles models in the market. We know fast food has fat in it. But we have no idea how much. In order to impact people in the streets and raise awareness, ADEXO Lisbon printed large posters using oil from a single pizza.